How to turn the Internet off using Timed Filters. Timed Filters is where we can schedule access to websites. We can also turn off, or schedule the Internet to turn off. 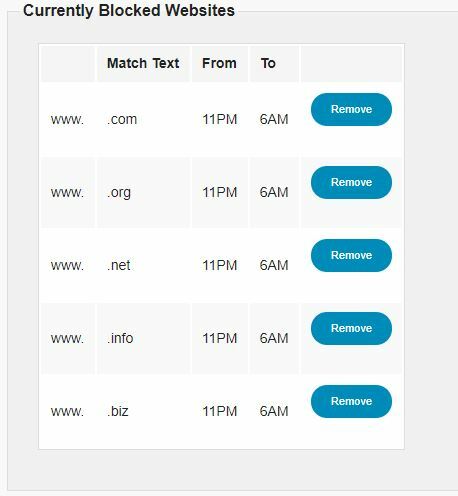 To turn the Internet off we will block these Top Level Domains (TLD): .com, .net, .org, .biz, .info <– Blocking at least these TLD will render the Internet unusable. Set From: and To: block times.